Home / Articles tagged with "cold & flu"
Articles for Tag: "cold & flu"
As the flu becomes more widespread, hospitals throughout the nation are taking extra precautions. 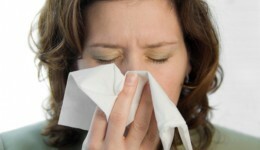 With flu season in full swing, our expert shares some prevention advice. Putting safety first, hospitals restrict visitors during crushing flu season.